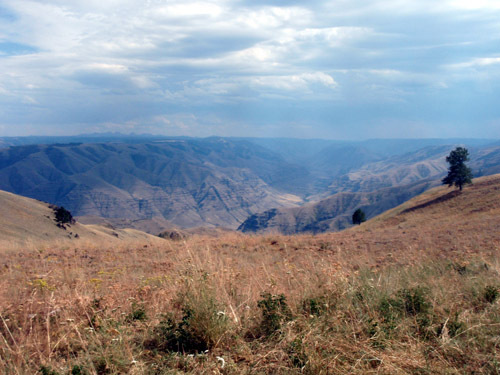 Looking south over the gorge towards the Seven Devils and the Wallowa Mountains from the tinder dry, high prairie of northeastern Oregon, you’d hardly expect to find apricots and blackberries growing along the banks of the Imnaha as you descend over rocky terrain, past tall stands of Ponderosa pine. 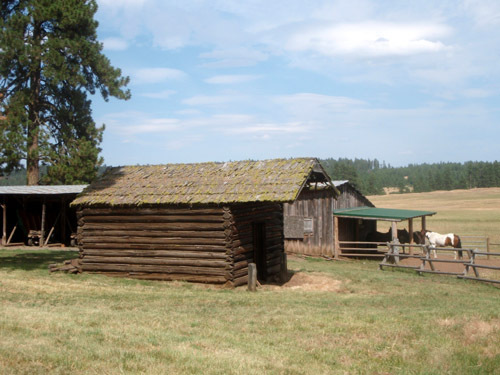 Dense pine forests still rim the prairie, and once provided ample material for the early settlers, who built barns using logs and poles of Ponderosa. 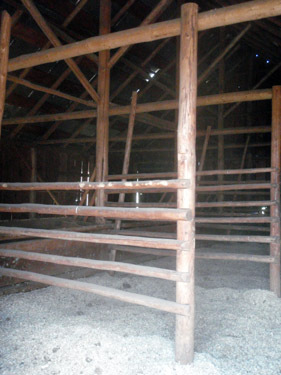 The dry climate is kind to the resinous wood, and many old barns are still in use. I love when architecture is reduced to such a simple, durable program. Some of these barns were built over 100 years ago by relatively unskilled hands with simple tools like axes and saws, using materials within walking distance of the grazing meadows. Part of what sustains a pattern in vernacular architecture is when the constructed thing functions simultaneously as a record of its own making and instruction for its replication. Posted by Scott on August 4th, 2009, at 9:57 am, and filed under all, bioregion/vernacular, expedition, material provenance.